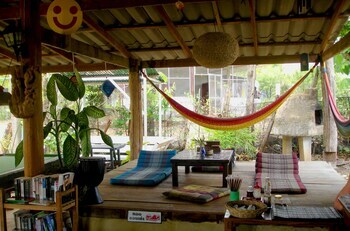 Located in Pai, Jungle Zone - Hostel is a 4-minute drive from Mo Paeng Waterfalls and 7 minutes from Santichon Chinese Village. Featured amenities include dry cleaning/laundry services and luggage storage. Free self parking is available onsite.